c4 – Connect Four Hits the Store! It has been a week since my game called c4 – Connect Four, with AI hit the Windows Store. Because the process of converting the current webapp to Windows Store app was so simple, I decided to write about it. Submit & publish and finally wait. 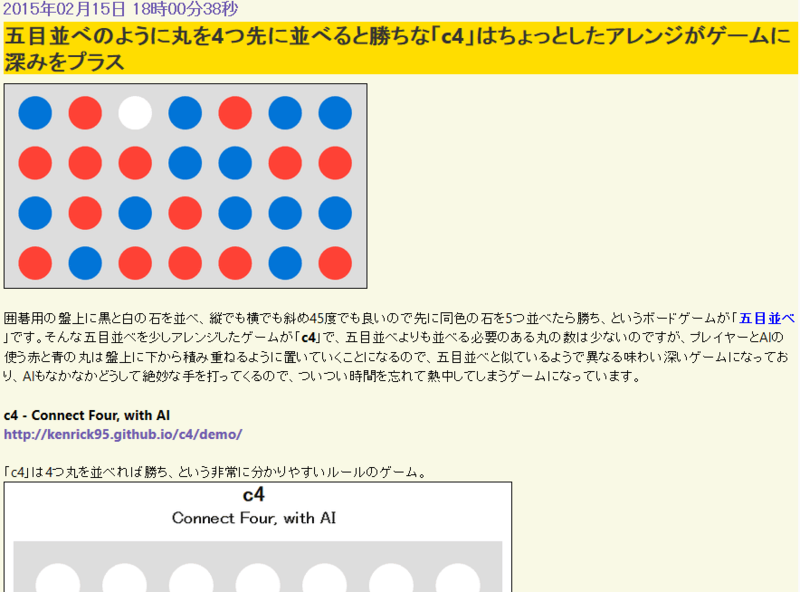 Posted byKenrick 7 June 2015 Posted inSandboxTags: c4, Windows StoreLeave a comment on c4 – Connect Four Hits the Store!